Why is my doctor sending me to speech therapy for my voice? Speech therapy is a term that encompasses many different types of therapy including voice and swallowing therapy. There are many reasons why your doctor may want you to consider voice therapy. You could have a lesion or nodules on your vocal cords that could be reduced with therapy. You could have a quiet voice from a diagnosis like Parkinson Disease. Your voice could be strained or hoarse from your job. Sometimes people are sent to voice therapy because they are having asthma-like symptoms or choking sensations in their throat where they feel like they can’t breathe. This can be diagnosed as vocal cord dysfunction. What is voice therapy going to do for me? Voice therapy has many different approaches but the first part usually involves learning about your voice and how you should be treating it. A speech therapist will teach you exercises to make your voice feel and sound better. Voice therapy can help with hoarseness, and/or a quiet or strained voice. It can be used to strengthen and/or reduce tension in the throat. You will learn stretches and breathing exercises that will help you maximize your voice to its full potential. Can’t they just give me the exercises for home? Voice therapy is highly individualized as each person presents with a different diagnosis. 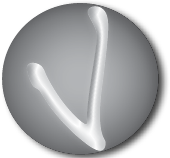 It is difficult to say how long or what type of voice therapy you will have to adhere to without doing a thorough voice evaluation. The duration of speech therapy is usually dependent upon the origin of the hoarseness and the severity of the problem. Upon completion of your evaluation, your speech-language pathologist will talk to you about the issues you are having with your voice and discuss with you the frequency and duration of your therapy. The therapist needs to make sure you are performing the exercises correctly or you could exacerbate the problem. Most insurances cover voice therapy. We believe in improving your voice and allowing you to recover and heal your voice versus costly alternatives such as surgery or taking time off work because you cannot talk. Some patients must pay high copays or deductibles for therapy, but voice therapy IS a covered service. If you are having trouble with your voice, ask your doctor to send you to a speech-language pathologist or check out the rest of our website and give us a call. 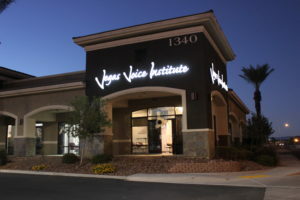 Vegas Voice Institute is always here to assist with your healthcare needs.